Hublot and legendary British new wave band, Depeche Mode, raised $1.7 million for charity: water, an organization that brings drinking water to developing countries. These funds will bring clean water to more than 50,000 people. This collaborative effort will be the third time the Swiss watchmaker and the group have joined forces. “It is with great pride that we, along with Hublot, are able to present charity: water with a check for over $1.7 million, and can bring clean drinking water to tens of thousands of people,” said Martin Gore, a member of Depeche Mode. At Depeche Mode’s concert at the Barclays Center in New York, Ricardo Guadalupe, CEO of Hublot, and the band officially presented charity: water with their large check. 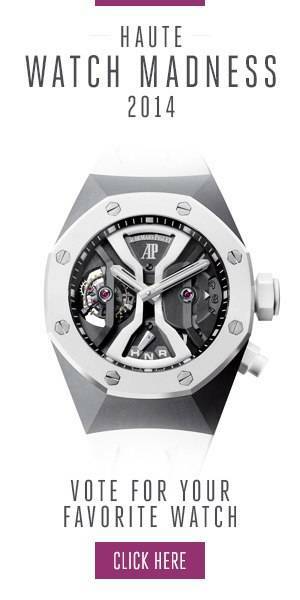 The money was raised over two years from the proceeds of two different watch models: the Hublot Big Bang Depeche Mode, released as a limited edition of 250 pieces in 2017, and the collection of unique Big Bang Unico Depeche Mode The Singles Limited Edition watches released in 2018. Unfortunately, it’s estimated that there are still 663 million people worldwide who do not have access to clean drinking water. The water epidemic increases the spread of diseases, compromises safety, and prevents access to educating and stopping the citizens of these countries from achieving financial autonomy. Since it was founded 11 years ago, charity: water has helped 8.2 million people through 28,389 projects in 26 countries. The non-profit organization calls itself “solution-agnostic” as they pragmatically adapt to the realities of the region, the local populations, and the resources available, rather than advocating a universal remedy. charity: water relies on their local partners to make sure that all donations reach the desired destination and that the money is used wisely in a transparent way.